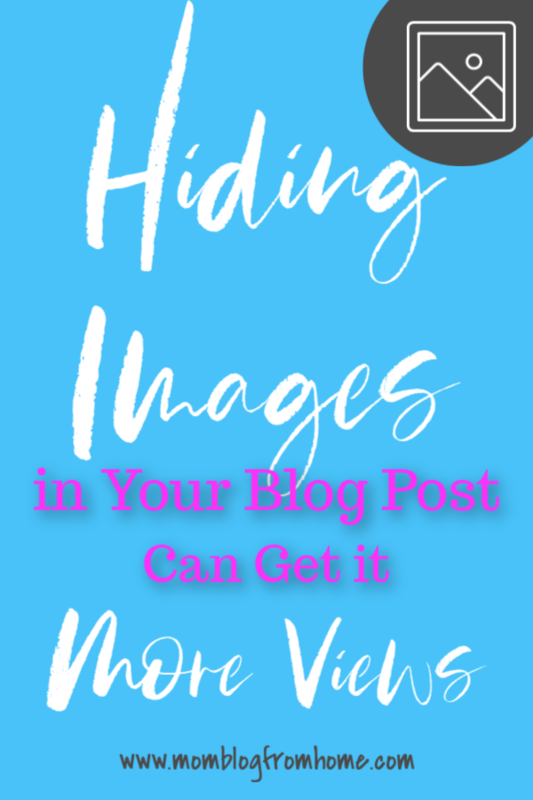 Have you ever heard of hiding images within your blog post? This is just one of the many reasons it is so important to follow fellow bloggers! You learn so many cool little tips and tricks. I love that moment when you learn something new…like “Oh! That’s how you do that!”…or “That’s why you do that!”. It is so amazing all the ins and outs of blogging and how we can always keep learning and growing from each other! 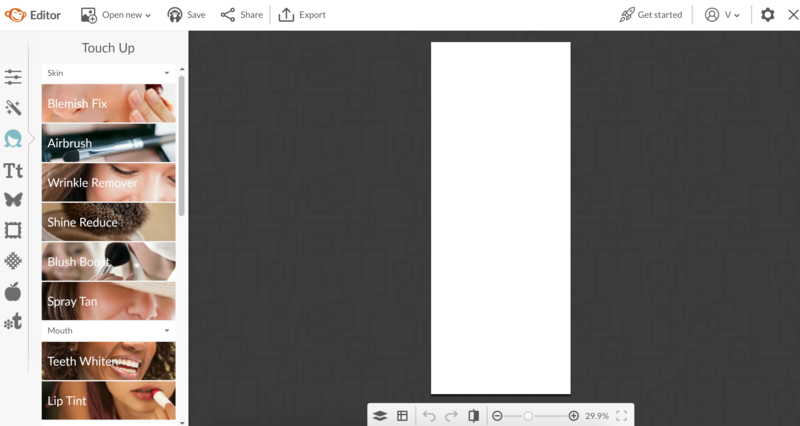 So one thing that I have learned is how to hide images in your blog post. You may be wondering why that is even important and I’m going to share that with you as well! First, I will tell you that I learned this little trick from Suzi at startamomblog.com. If you haven’t heard of her yet then be prepared to be amazed. She is a rock star in the making. When I first started following her she was sort of popular but in the year and a half that I have been following she has blown up! If you haven’t checked her out that is a must but for now on with the images! Here is a free course I created to show you how to make images. That is step one if you don’t know how to make them yet. 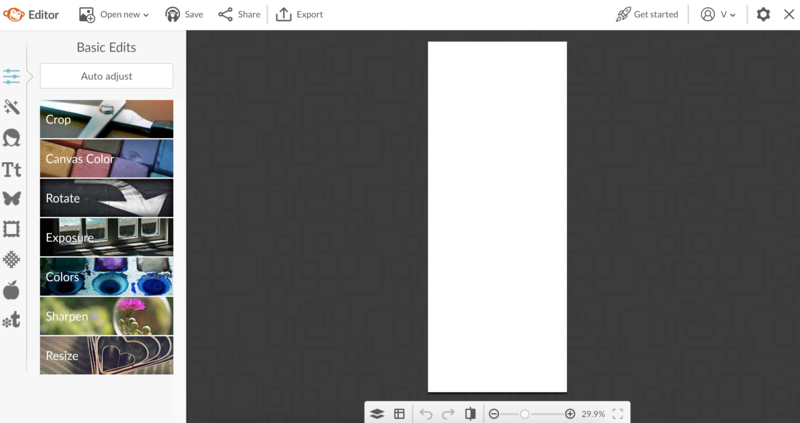 I show you how you can use several different programs to make one image as well as one image into multiple different images for your blog posts! We all have our own styles and likes and dislikes. 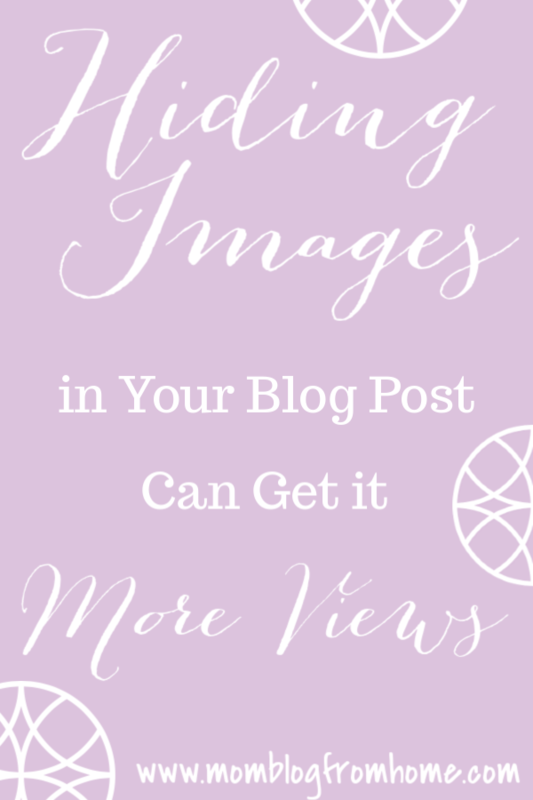 Everyone is different so having different images helps you reach more pinners and potential readers of your blog! 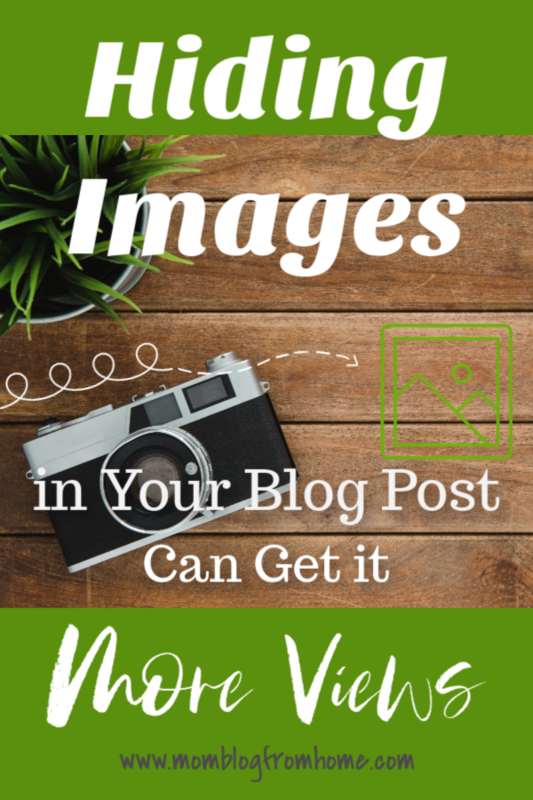 After you have created several different images for your blog post you want to then add them to your post. You don’t want all of them to show or that would be too overwhelming and it would clutter up your blog post. So this is where you will hide 3 out of the 4 images in your blog post. By hiding them this allows a reader that is reading your post to choose which image they want to pin to Pinterest without showing all of the images all of the time. Here is what the post will look like. As you can see there is only one image showing in the blog post. And then here is what it will look like when they click on the Pinterest icon to save your post. Now there are several images for them to choose from! Isn’t that amazing! They can choose which image they like best! That particular post doesn’t have 4 different images so I will add more later on to it. But you can see there are a couple to choose from. That image is with Monarch plugin through Elegant Themes. If you use the SumoMe plugin then it may look more like this. Again this post also needs to have a few more images added to it. But I have recently been playing around with which plugin I like best. I like the SumoMe option to choose from the images better. I like how all the available images to be pinned show up across the street and in full view. However, I like the way the Monarch buttons look on my blog. I will have to keep playing around and see which one works best! 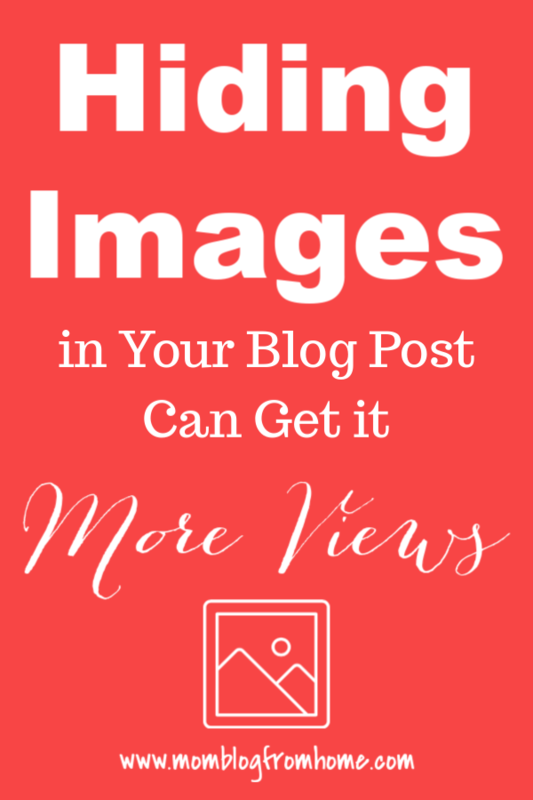 It is important to have multiple images for each blog post so when you pin your blog post on Pinterest you can create several different pins. Again everyone has their own tastes and by using several images you can reach more pinners. If one style of pin that you share is a fun and crazy font but then another image you is more streamlined, then you are reaching two very different styles on pinners. By creating more than one pin per blog post this also gives you the opportunity to play around with the pin description as well and see what works best. So how do you hide them? Here is the special secret code. Actually, I don’t know if it’s special or secret but this is what Suzi gave me to be able to hide images in my blog post. 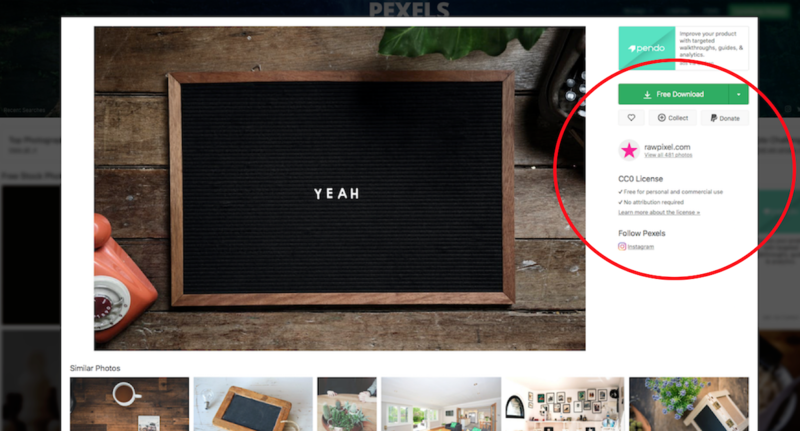 After you insert all of your images into your post you will then click the Text tab in the upper righthand corner of your post within WordPress. It should give you the options of either visual or text. Click on text. Now it is showing your blog post in HTML text. I use my notes app for everything but you can use a Word document, a sticky note on your computer, or whatever is easiest for you. I paste the code there. Then I copy my image code from the Text Tab in my blog post within WordPress. Then I paste it into the code in my notes app. At that point I now have the image code within the code Suzi gave me to hide the image. I copy the whole thing and replace the image code in my blog post with the new code hiding image code. I repeat that for all three of the images I want to hide. Here is a quick video to better explain that! Now you have 4 images in your blog post but when you view the post it only shows one. So again when someone wants to pin your post it gives them more options to choose from! 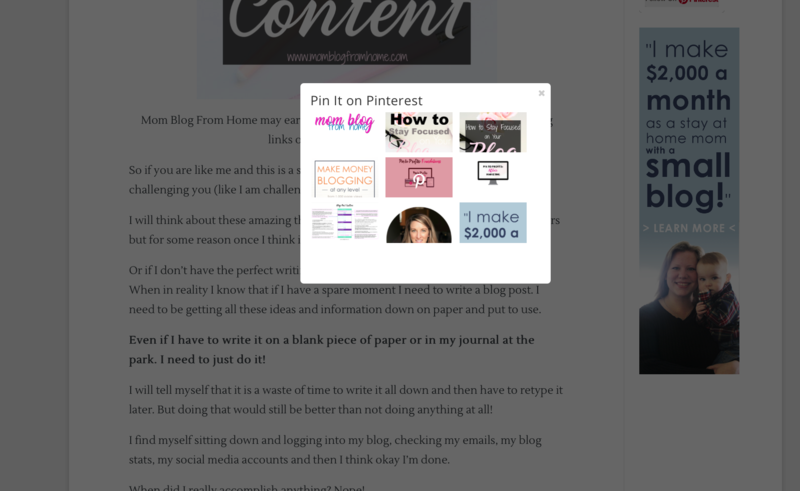 It also gives you more options to choose from when you pin your new blog post to Pinterest! Did you already know how to do this? Do you have any other cool tricks you would like to share? I would love to hear them! Do you want to be featured on Mom Blog From Home? Do you need help starting a blog? There is no doubt that you have probably already heard of Tailwind. If you haven’t then I’m glad I am the first to be able to share this with you. If you have heard about it but you aren’t quite sure what all the fuss is about then I am about to tell you. Tailwind has helped me grow my blog traffic from 300 page views one month to over 7,000 page views the next month! My blog was only a few months old at that point as well! Tailwind is a scheduler for posting to Pinterest and Instagram. There are options to have it post on Twitter and Facebook as well. But you can schedule out in advance for Pinterest and Instagram. It has designated times for your pins/ posts to go live according to when it will be most viewed by your follows. The Instagram feature even offers you suggestions for the best hashtags to use and you can save a list of the hashtags you want to use for each post. This saves time trying to remember all of them and then, of course, typing them all in. You can make board lists to group your boards or group boards together. It breaks down the analytics to tell you how your pins are doing. If you are analytical you will love this feature. Pinterest provides analytics and so does Tailwind. You can compare and see how well your pins are doing and so much more! For me, it is a bit overwhelming how much information is provided. That is a great problem to have though! I can learn it all but I would prefer too much information than not enough! There are Tailwind Tribes on Tailwind that is a group of others in your niche that you can share each other’s content. You can add up to 30 pins per month into the Tribe. This helps from it being overloaded. You will make sure you are sharing your best pins in there and so will your Tribe members. Making the pins in there higher quality to share with your followers. Tailwind is working on rolling out a loop feature. It is in Beta testing right now. From what I hear it is really awesome. This will save everyone even more time! You can sign up for a $15 credit that works out to be a one-month free trial if you use my referral link right here! Once click on the link just go through and sign yourself up and fill in your information in your account. There are also awesome tutorial videos that will pop up and walk you through how to navigate through Tailwind. The Tailwind extension is super easy to install and use. It will place a Tailwind icon on the top toolbar of your internet window. This makes using Tailwind on Pinterest a breeze! Once you are on Pinterest you can search for the pins that you are looking for (ex: how to blog) and then when the results pop up you can then click on the extension and it will pull all those pins so you can then choose which ones you want to repin. You simply click on the pins you want to repin and the board you want them to be pinned too. You can have them all go to the same board or you can choose a different board for each pin! After you have selected which pins you want and where you want them to go, you just hit schedule the queue and it will fill up your Tailwind schedule! You can also use the Tailwind extension on any other website as well. If you are on a blog you just love and you want to repin from it, you can use the extension the same way. After you have hit schedule Tailwind will pull up a list of other pins you may also be interested in repining. Sometimes they have awesome suggested pins and sometimes they don’t. You don’t have to repin any of them but it is great to have more pins to choose from if you find one that you like! 4. Set up preferences/how many pins per day. 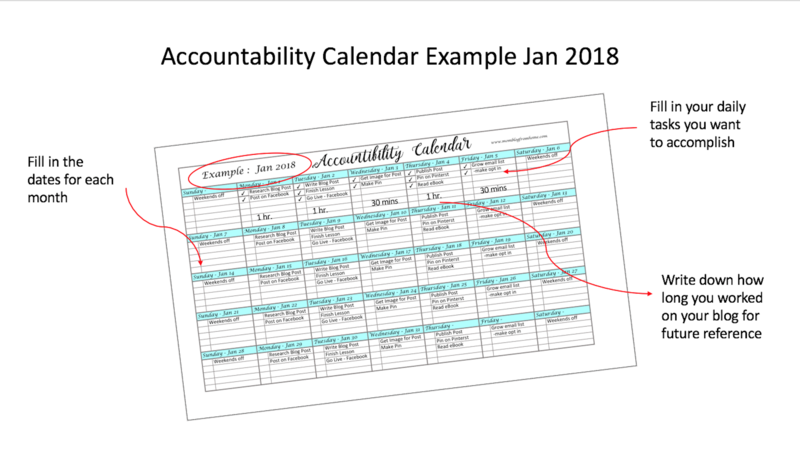 As I said you can set your schedule to pin up to 50 times a day. You don’t have to do that many and if you find it difficult to keep it full then you may want to do less. I used to do 50 but then I was unable to stay consistent. It felt like my queue would never stay full and I would end up pinning 50 times for 2 days and then only a few for 2-3 days and then back to 50 when I was able to refill it. I decided to drop it down to 20 times so that my queue was consistently full every day. You just need to find what works for you! Of those different time spots that you can choose from on Tailwind to pin your pins, they are in a small schedule. This means that Tailwind knows when it is best for you to pin for you. They know when your viewers are most likely on Pinterest and can see your pins! How amazing is that! You don’t have to guess if you need to be up at 5 am pinning about breakfast recipes. Tailwind will do it all for you! As I said you can pin up to 50 times a day. Of those pins, you can do them all of your own pins or half yours and half others. It is all up to you! You have the option to pin to your boards or to group boards you are apart of. Group boards are boards where there are multiple collaborators. You all contribute to the same board and share each other’s pins. Most group boards are niched down to be specific about a certain niche. There are some that are broader such as Mom Bloggers. That could be any type of blog made by a mom. You could have a wide variety of blog topics in there. But most are narrowed down. Such as gluten-free recipes group board. So you are only sharing gluten-free recipes on that board. There are pros and cons to both. Not niched down gives you more opportunity add more pins. However, that also gives chances of it being overlooked because there are so many different kinds of pins in that group board. Niched down means those people in that group board are interested in your niched pin so it is more likely to be noticed however you may not have as many pins to contribute. Don’t forget to add pins and share pins from your Tailwind Tribes! When using the extension sometimes the URL and description on that pin don’t move over and you have to manually add it. Sometimes that is easy and sometimes you can’t read on the image who made the pin. In Tailwind, Tribes you don’t have to worry about that. Those will always be on the pin making resharing it super easy! Until the looping strategy goes live there is another way to loop your pins. 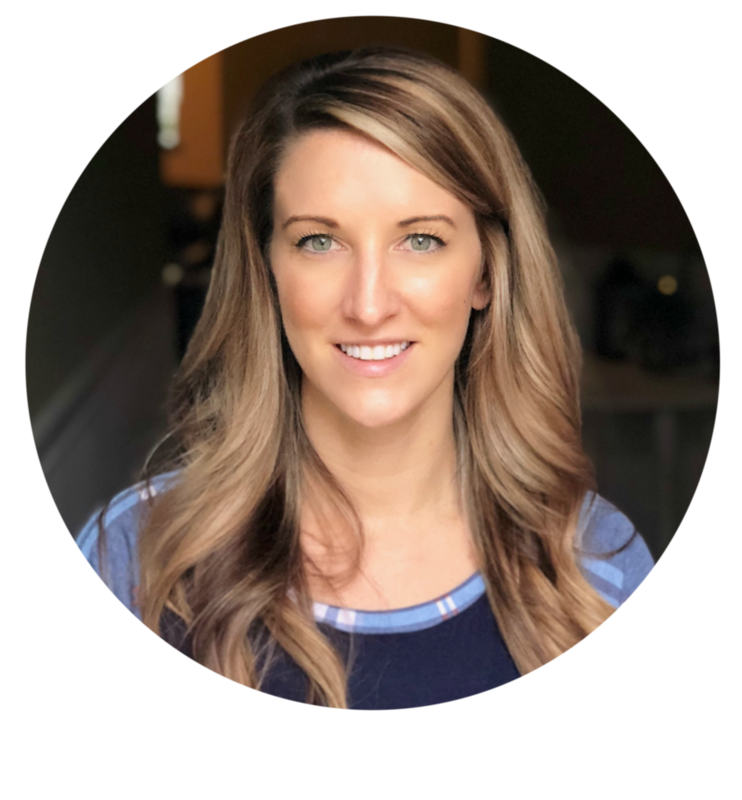 Suzi from Start a Mom blog does a great job explaining how to do that in her post. Tailwind has a referral program that if you share Tailwind and someone signs up they get $15 and you get $15. This is equivalent to a free month for each of you! Tailwind will automatically add that to your accounts. So by sharing Tailwind, you can essentially use Tailwind for free yourself with at least one sign up from a friend each month! 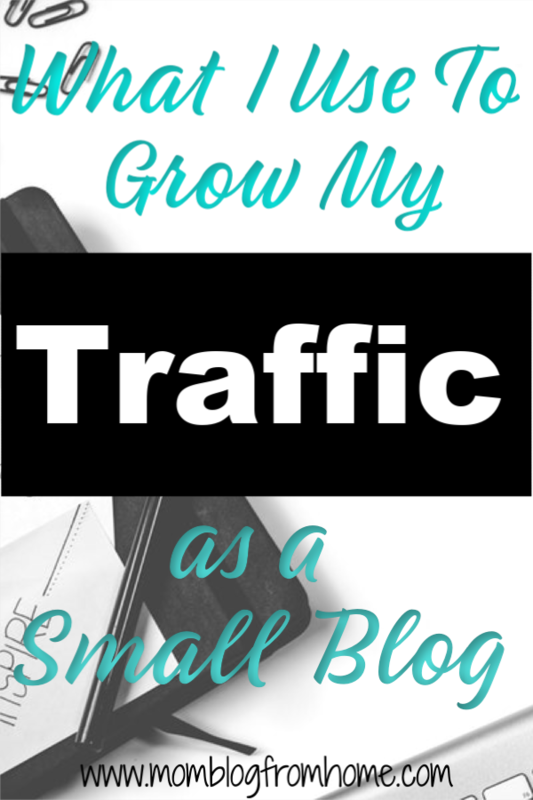 – Grow your blog traffic! 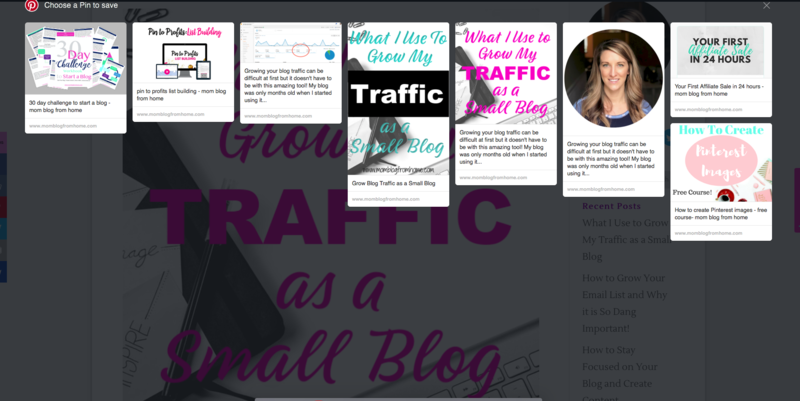 For more information on how I grew my blog traffic over 600 page views in one day on my small blog, you can check out this post. Haven’t Started a Blog Yet? 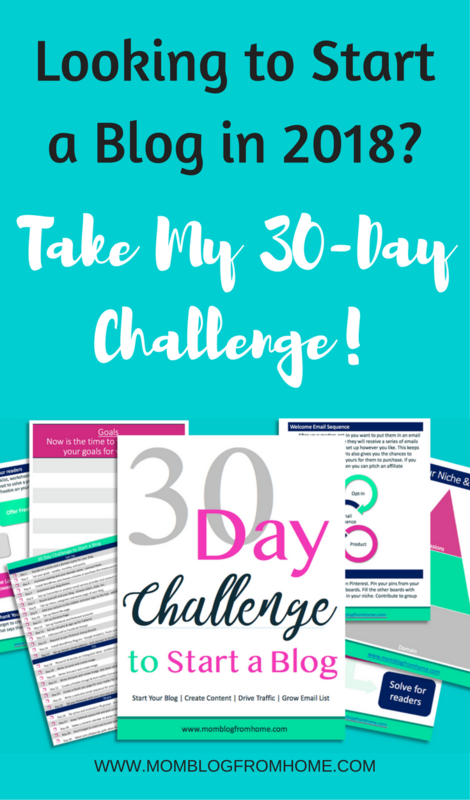 Take my 30-Day Challenge to Start a Blog! 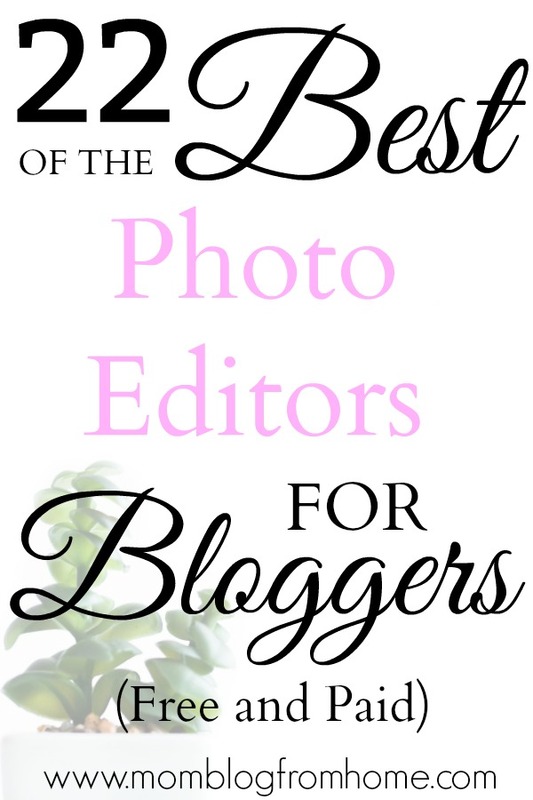 There are so many different programs out there to use as a picture editor. 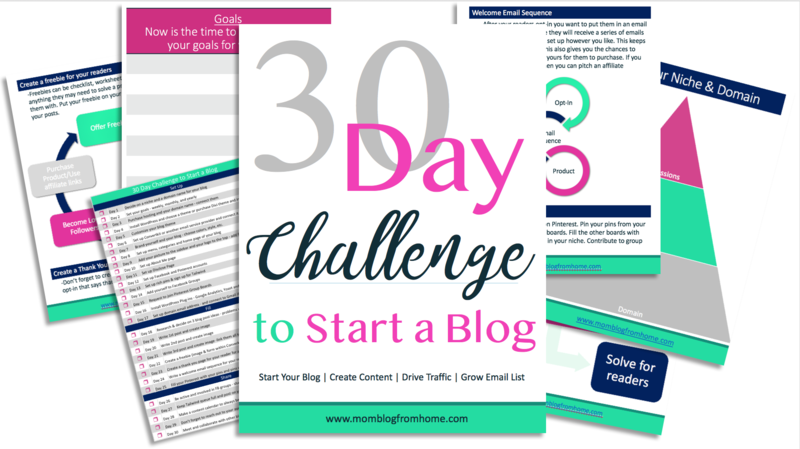 If you are new to blogging, it can be overwhelming! I know it was for me, I didn’t know where to start. Should I pay for an editing software or would I be able to use a free software that would work just as well? Personally, I don’t have any background in photography or picture editing. I need something that is well…. easy and dummy proof. I know what I like but once I start editing then it starts to look forced and over edited. I try to go with less is more. If I like the picture to begin with then I just do a little touching up and not overdo it. However, if you have the eye for it and the knowledge then go for it! But even with the know-how and the eye you may still be lost on which one to use or which ones are even available. I did some research for you and this is what I found! I found 22 different programs to use as a picture editor. 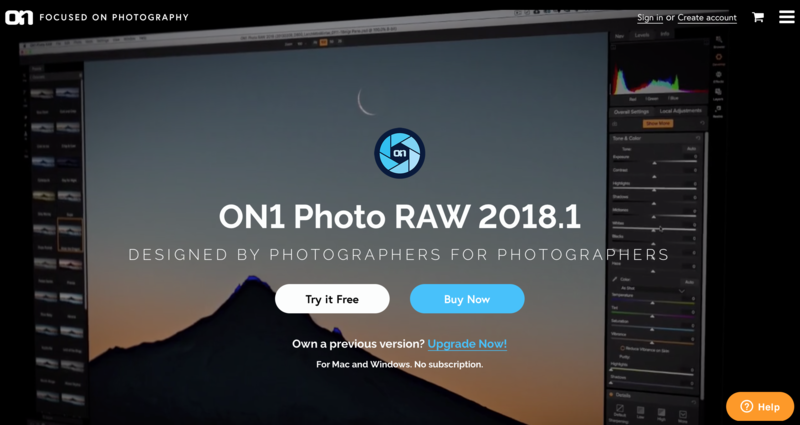 14 of them are free photo editor programs! I personally use two of them, but I have read other bloggers that recommend a few of the other ones so it is entirely your preference. Some will just come easier to you and some may not be your style. For example, I use both Canva and PicMonkey. I had the free version of them both for a while, but I did go ahead and invest in the paid version of PicMonkey and I will explain why in just a bit. For now, I want to tell you the differences I see in them. 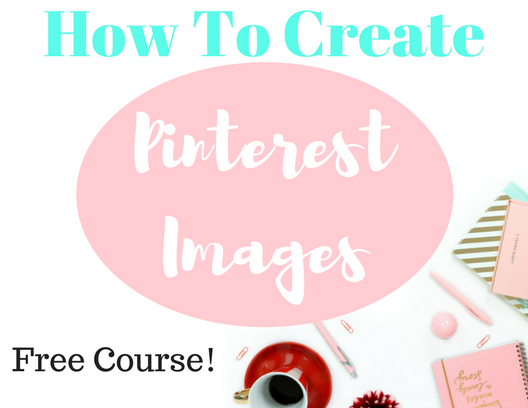 Canva is great for creating Pins for Pinterest and other social media images. 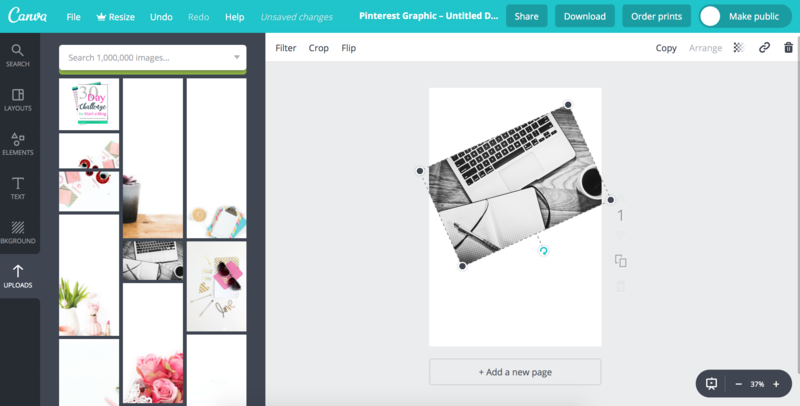 Canva right away shows you different templates you can use for your photo. 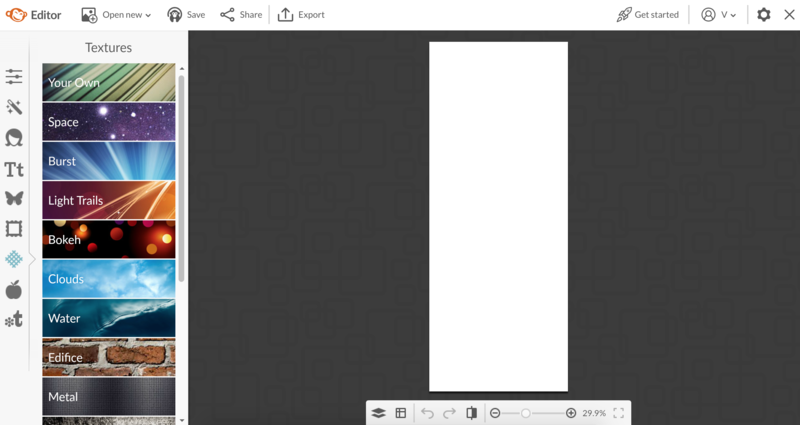 Let’s say you are creating an image for Facebook it already has the template with the correct size that is best for Facebook. Same for Pinterest, flyers, business cards, etc. It doesn’t however, in the free verse at least, let you do much actual editing to your photo itself. You can upload an image and crop it, filter it, flip it, adjust the transparency, link it, and rearrange the content on your design. But again, you can’t do anything like photoshop work to it. I do like that Canva shows what you have created on your profile. After you download your design it shows you all your past creations when you go to your profile. 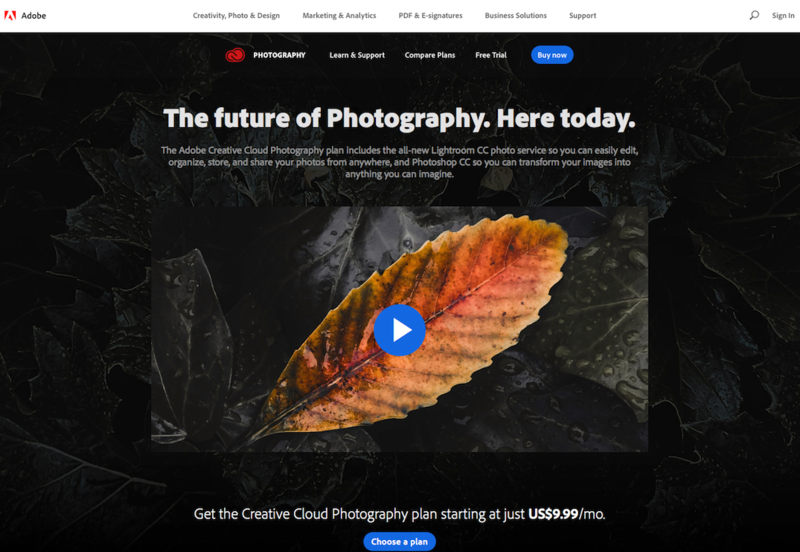 You can also create a team to work on a project together, you can see what images others have shared with you, and what is really cool is you can set up your brand as well. Within the layouts, it had many different options to choose from. These are nice because they are all done for you. You just have to add your touch and done! Within the elements tab, there are 9 choices. As you can see you can pick from Free Photos, Grids, Frames, Shapes, Lines, Illustrations, Icons, Chats, and I love Canva. 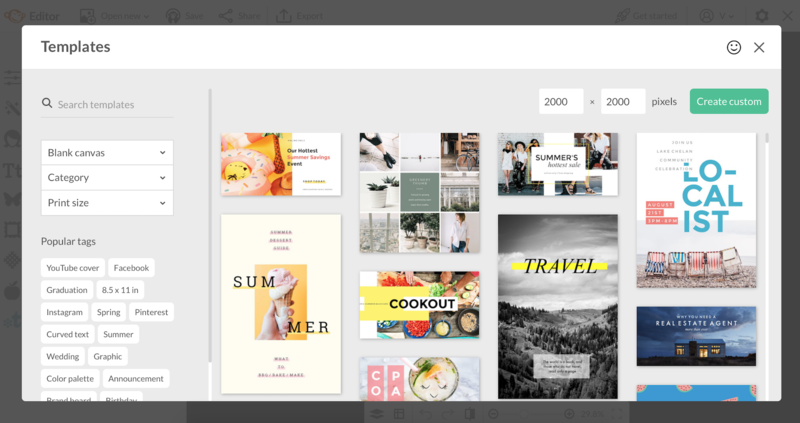 Canva gives you many beautiful free pictures to use and then they do offer some you can buy. Grids are where you can add multiple photos to your image in a specific layout that you choose. It is just like a collage and you pick the design you want to use. You can add a frame or a border to your image. This one is really great for making Pinterest images. You can add shapes to your image to really make a certain word or number stand out in your image. This is also great to break apart the text on your image. Again, this is great to break apart the text on your image or to make a certain word or number stand out to the viewer. It also brings a little character to your image as well! This is like Clipart for Canva. 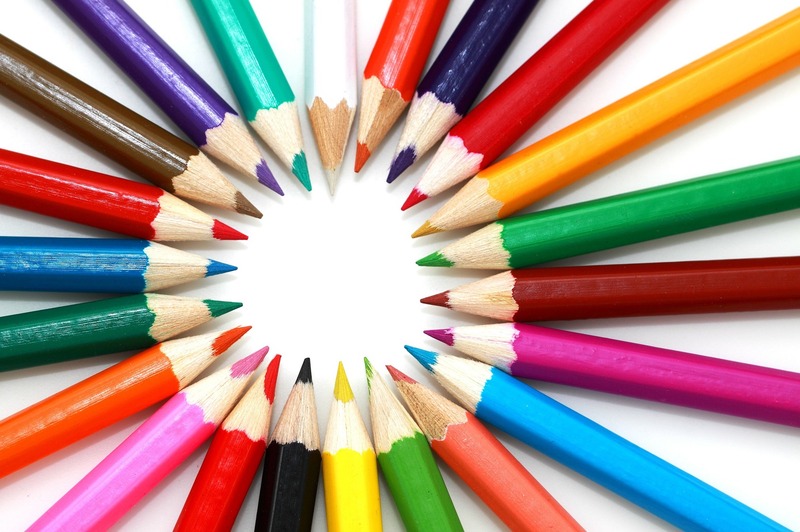 This is where you can choose from a variety of different illustrations to use for your image. If you are planning a 4thof July BBQ there is a red, white and blue popsicle illustration, or if you are planning a camping trip there are binoculars, a compass, and a lantern illustration you can use! So many options! The text section seems pretty obvious but Canva added a little twist. They have text templates already available for you to pick from. 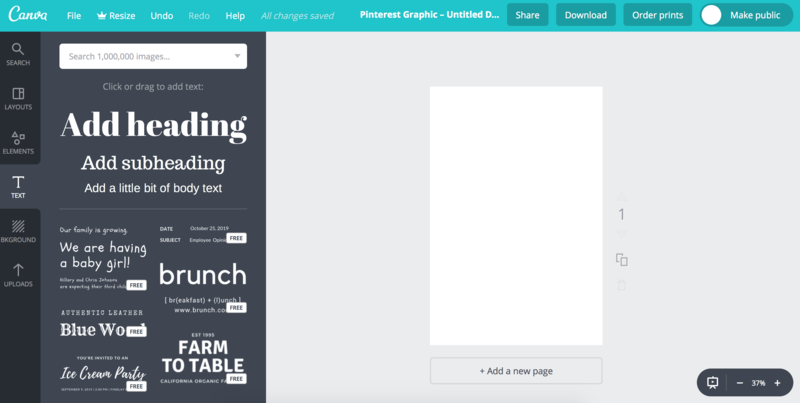 Instead of just offering different fonts you can adjust yourself, Canva has the different fonts already put together for you to just change the words to your own. For example, they have a baby announcement one that has all the same font, but they emphasized the “We are having a baby girl!” part by making it a larger font. Then they have some that have one that invites you to an ice cream party and it uses multiple fonts and sizes. 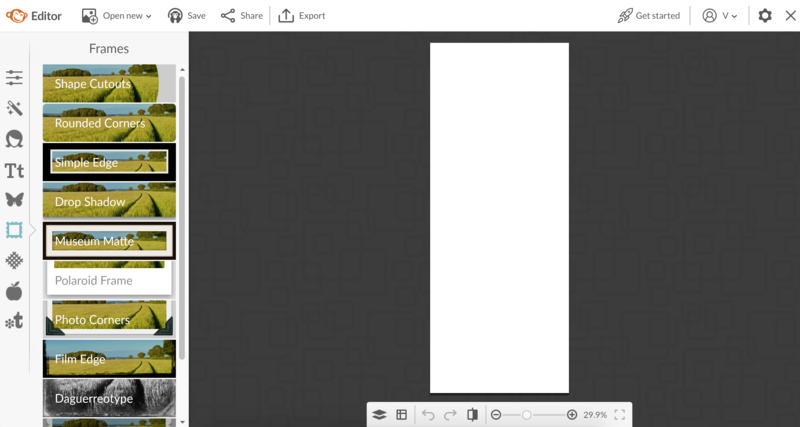 You just click on the template you like and drag it over to your creation! Or start from scratch and create it yourself! Once again, choose from the many different free and paid for backgrounds that Canva has to offer. There are solid backgrounds, patterned backgrounds, or upload your own! 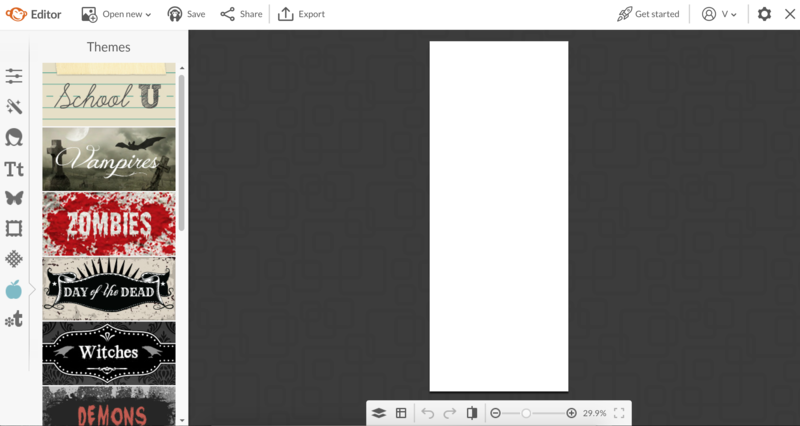 I hope that helps walk you through what Canva has to offer for photo editing, now let’s dive into PicMonkey! PicMonkey has a lot more to offer. 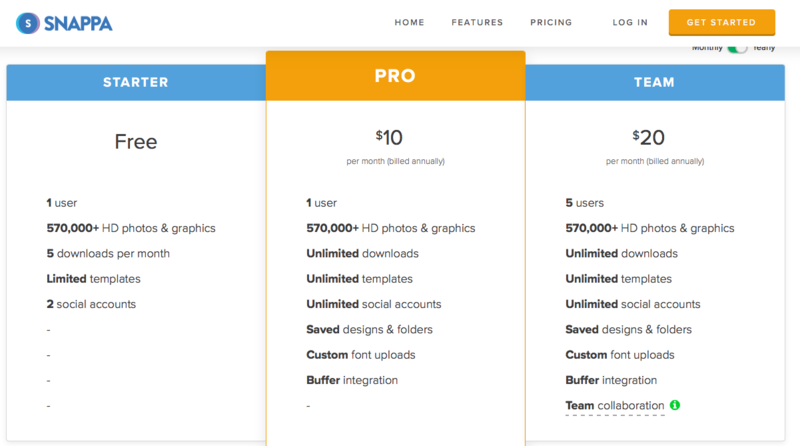 Canva and PicMonkey each have their own pros and cons and again it is each to their own. 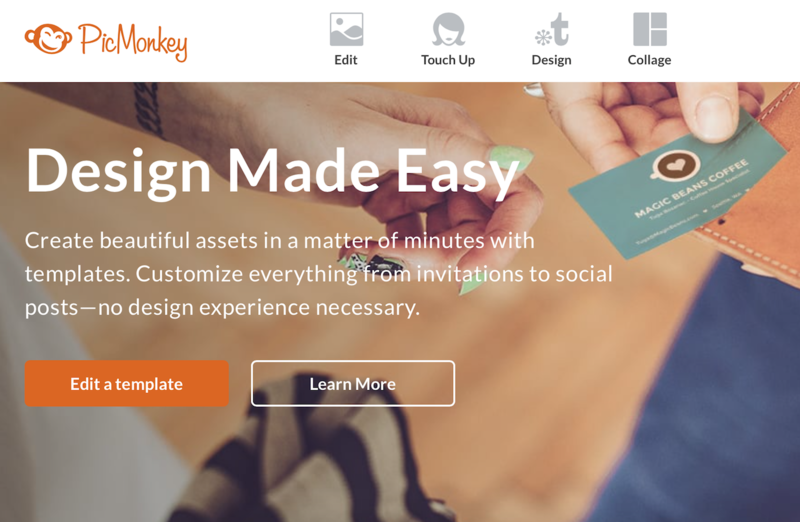 Some prefer Canva and some prefer PicMonkey. You can see right away that you have more to choose from as to what you can do on PicMonkey. 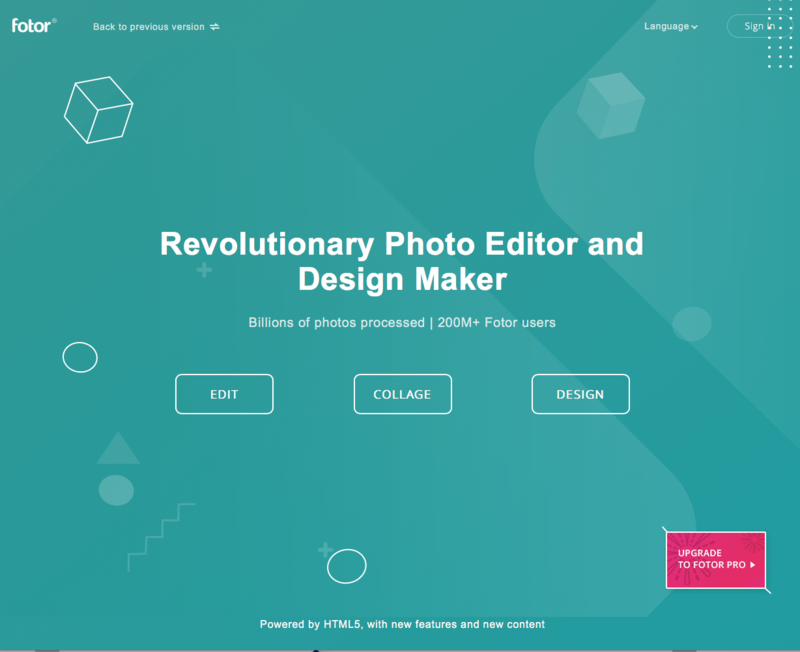 You can either edit a photo, touch up a photo, choose a design or template to use, or make a collage. I used the free version of PicMonkey as my photo editor for a long time but then I went ahead and invested in the $7.99 a month to be able to do more editing to my pictures. 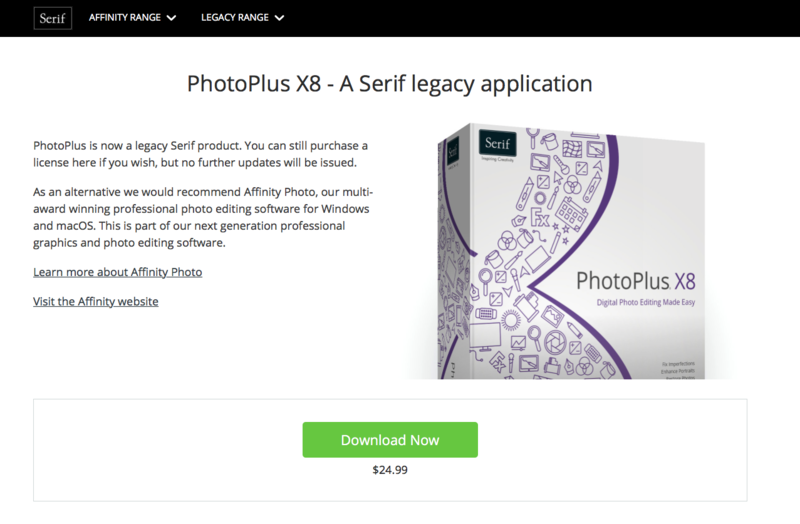 I have heard that photoshop is difficult to learn and is expensive so in my opinion, I would rather pay the $7.99 and have a very user-friendly photo editor program for me to use. If you are already a photo editor wizard then this might be too simple for you. If you are like me and just need the basics to touch up an image than PicMonkey is amazing! There are so many things you can do in PicMonkey. Here is a run through of the options available. 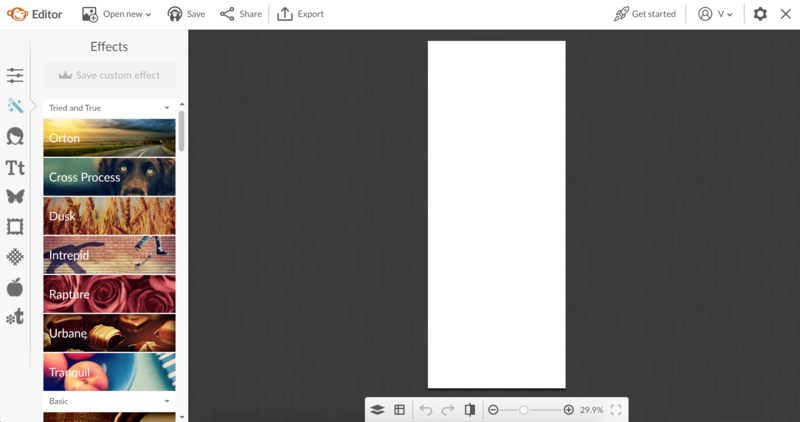 Here you can crop, change the canvas Color, Rotate the image, change the exposure, change the color of the image, sharpen the image, and resize it. There is also the option at the top to auto adjust. This feature makes life easier for me so I don’t overdo it with all the options below. I just hit auto adjust and move on to the next section. Here is where you can change the effect of the image or the tint of it. These are preset that you can go through and click on to see which one fits the look you are going for. Again, I have to paid version so I may have more available to choose from than the free version. As far as editing your photos this is my favorite feature. I don’t necessarily have the most beautiful skin in the world. So, when I wanted to make a headshot profile picture I needed to do some touch-up work on certain areas. This made it super easy! My husband took my picture with his new iPhone 8, not even with a fancy camera, and I went in and edited it to remove some blemishes, wrinkles, and scars and wah-lah! You can give yourself a complete facelift if you wanted to! I am not all into that but removing some blemishes and wrinkles absolutely! You won’t have as many options in the free version but it will still help you clean up your image! You can add text to your photo and change the size and font but unlike Canva it doesn’t have text templates of fonts that go well together. Still is very easy to add and adjust the text to your photo though. This is similar to the shapes you can add in Canva but here you can add symbols, arrows, spirographs, as well as all the illustrations of different clipart type inserts. You can also add your own. This is a great way to be able to overlap text and images through your design. Here is the same where you can add a frame to your photo to give it a fun touch or certain look. This reminds me of the filters on SnapChat. You can add fun accents to your photo. If you want your photo to look like it is on an old piece of paper they have that texture you can add to your photo. Or if you want it to look painted on or stitched on, they have that texture. Themes are everything all rolled into one. If you have a certain vibe you are going for but you don’t want to go through each category one by one to try and achieve that look, then go to the themes section and it has them all categorized together. If you want it to look like an old newspaper clipping then you can click on the School U theme and under there it will list all the effects, overlays, text, textures, and frames that will most likely go with that look. Under effects in the School U theme it says newspaper and then you just go from there! This can say you a bunch of time! 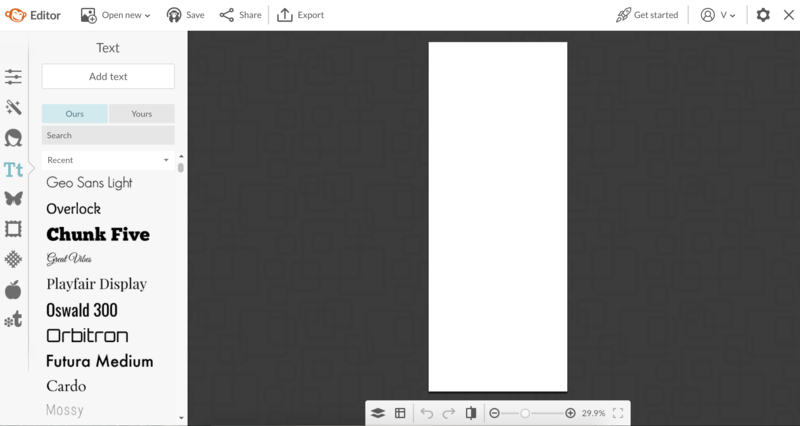 Here is where you can choose a template for your image. 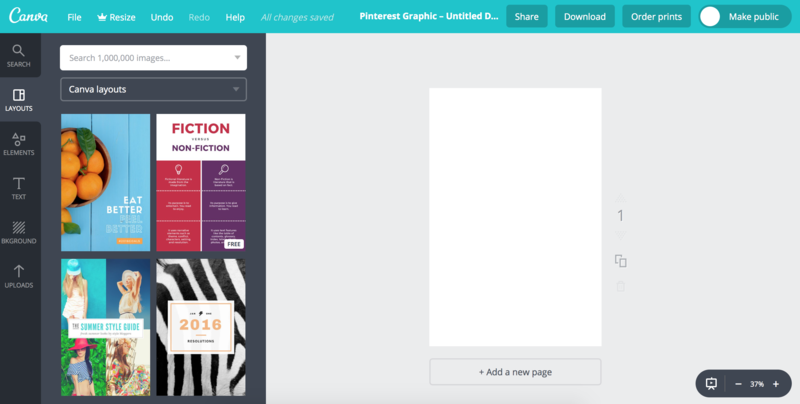 Just like Canva, you can make a Facebook image, business card, flyer, Pinterest image, etc. You will want to make this decision before you start any editing though. So there you have it. 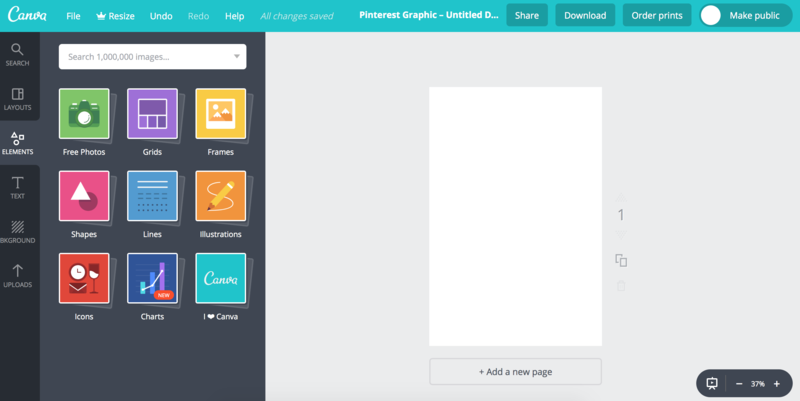 The differences between Canva and PicMonkey. I would like to say again that I do have the free version of Canva and the paid version of PicMonkey. You may be able to do more in the paid version of Canva that I don’t know about. I do know that still with the free version of PicMonkey I felt you were able to do more and you could do actual photo editing. Check out my FREE Pinterest Image Course where I walk you through how I make my Pinterest images. I show you where I get my free stock images, how I edit them, how I make one image into multiple, and then how to use a bonus program you may already have on your computer to make beautiful Pinterest images! 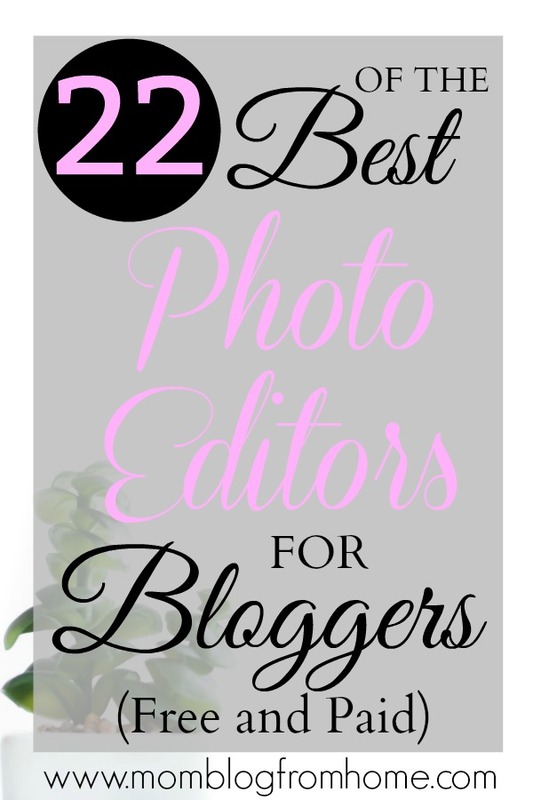 Here is the complete list of the 22 programs you can use as a picture editor. Numbers 3-22 I have not personally used before. I did look into them though so here is more information on them! 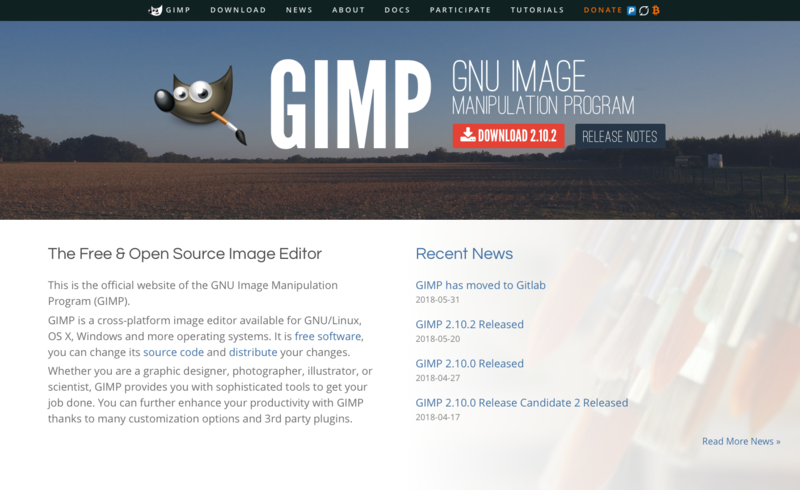 Gimp is a free online photo editor site. 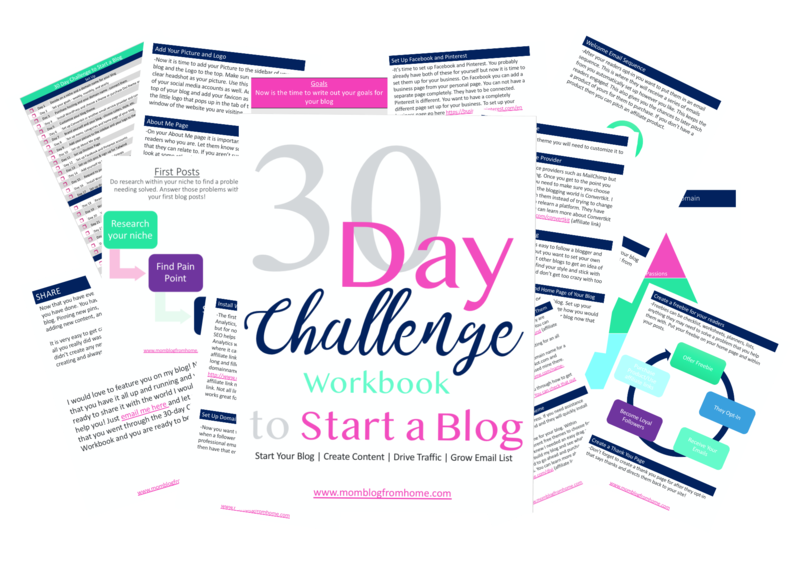 I have heard of other bloggers using this program and it reminds me of PicMonkey and Canva but just not quite as user-friendly. 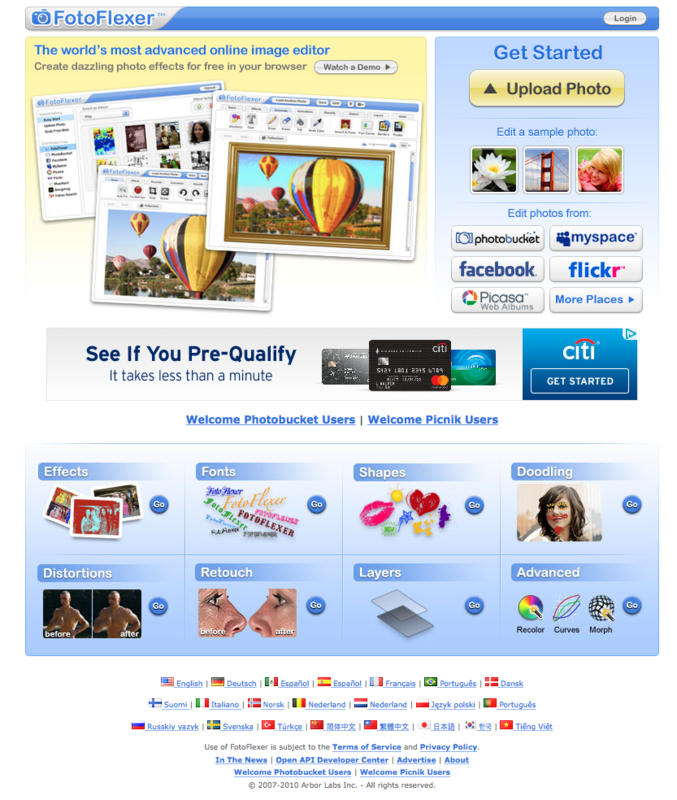 PhotoScape is a free download that you install onto your computer. 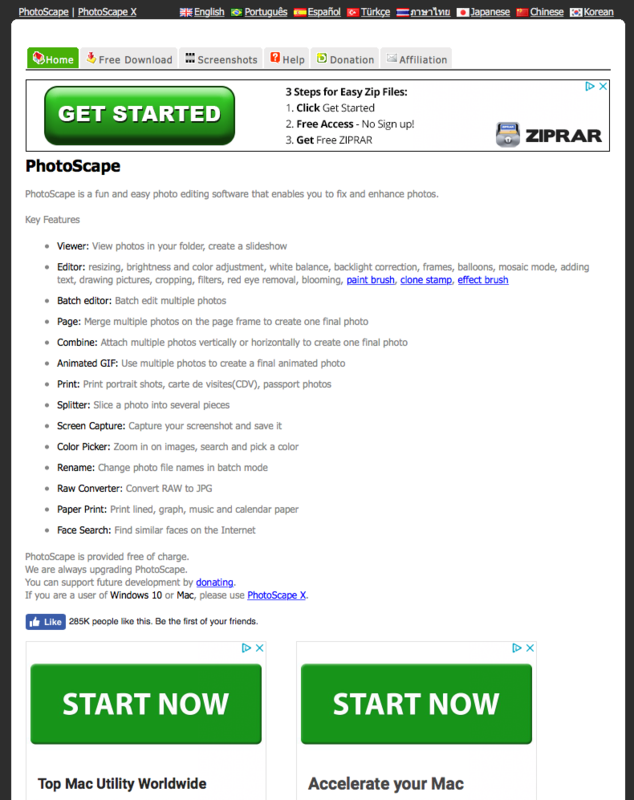 Fotor offers a free trial to test it out but then it is either a monthly or yearly subscription after that. 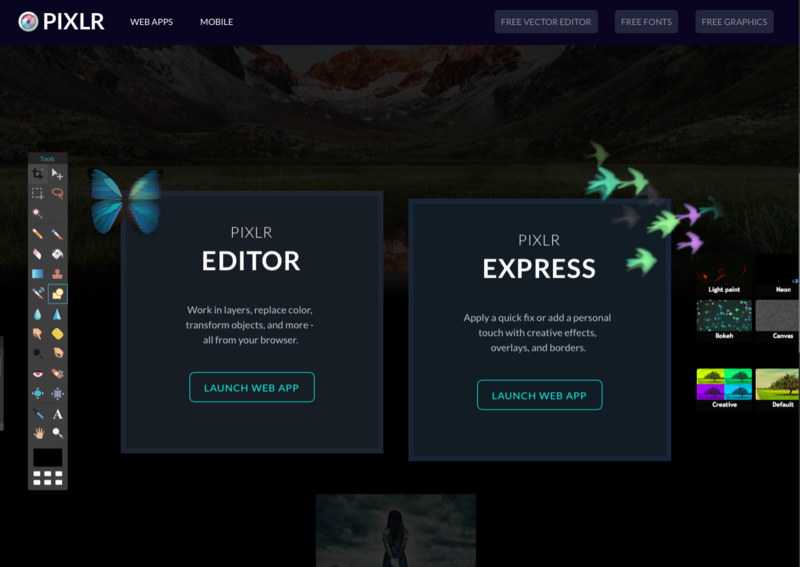 Pixlr is a free photo editing site that also offers an app! 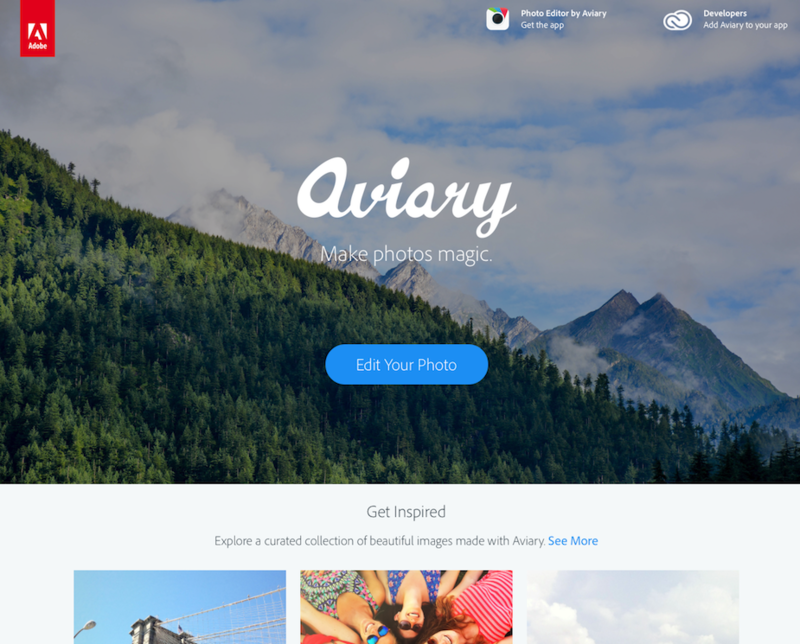 Aviary is free as well and they too offer an app for photo editing! On1 offers a free trial but then it is a paid program. Snappa offers three different plans to chose from. One is paid with fewer features and then the more you pay the more you get on the other two features. 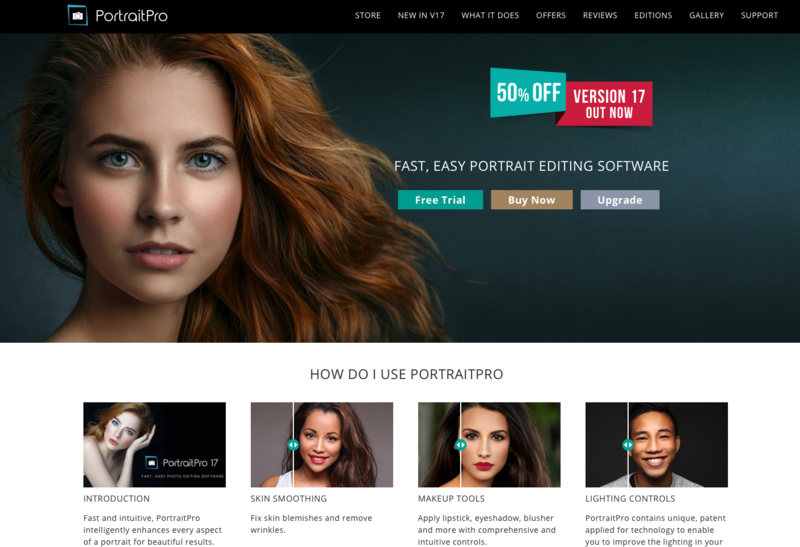 PortraitPro has a free trial but then becomes a paid program. 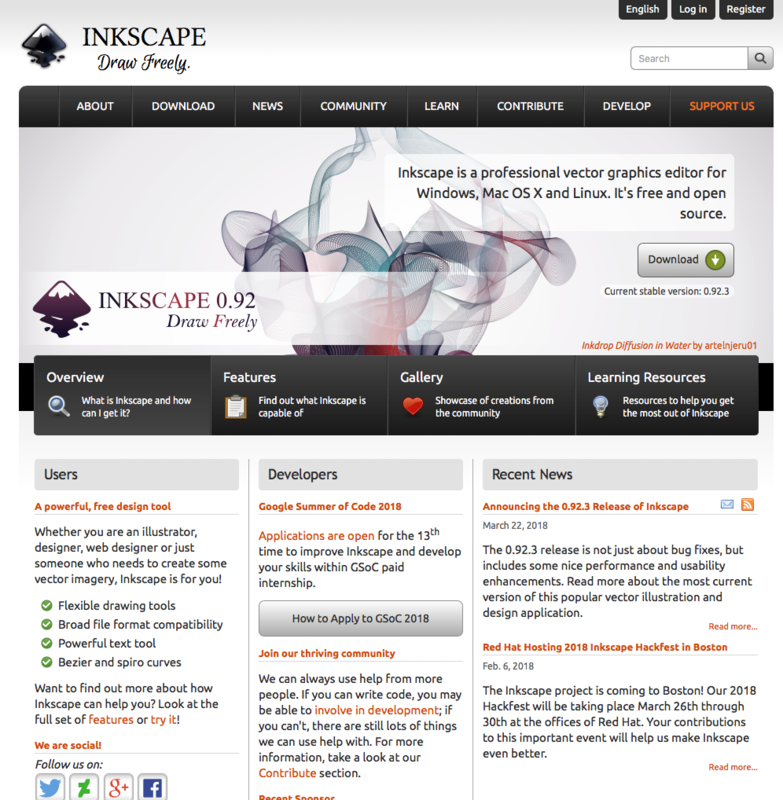 Inkscape is free to download. 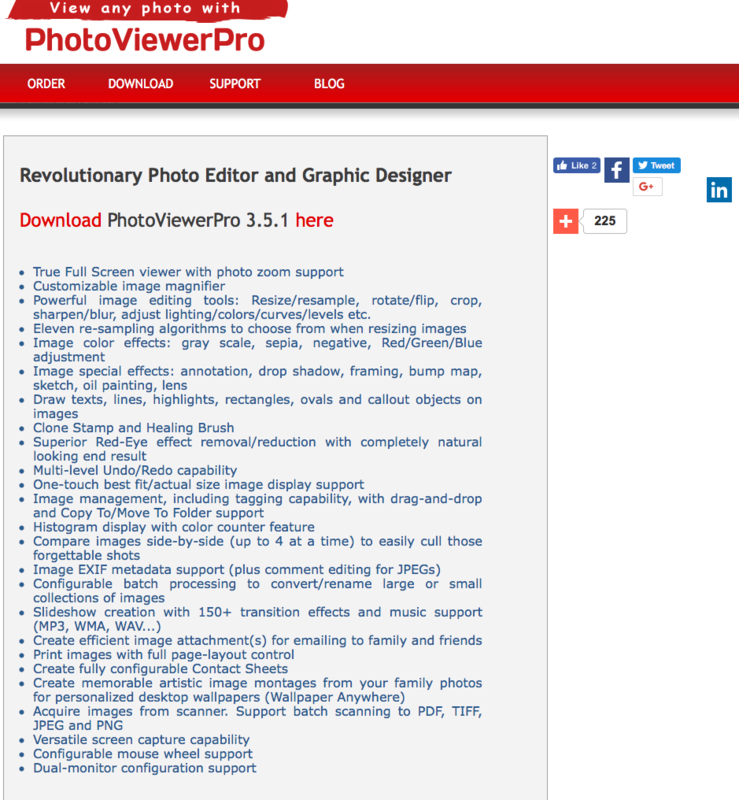 Photo ViewerPro can be download for a price. That price depends on which plan you choose. They offer three different plans. To find those prices go to the bottom and lick on FAQ and it has the answer there. 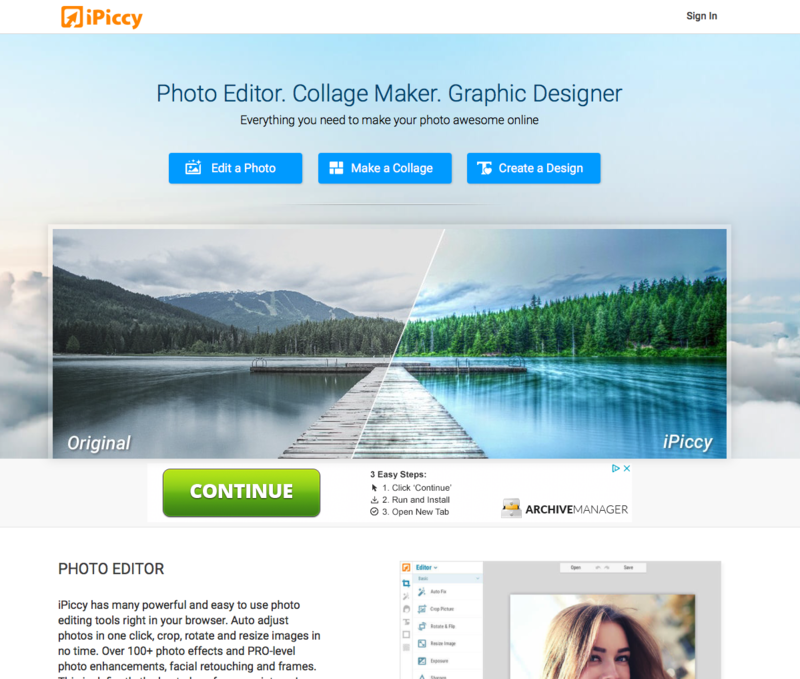 iPiccy is another free program for editing your photos. You just have to install it to run the program. It works for graphic design too! 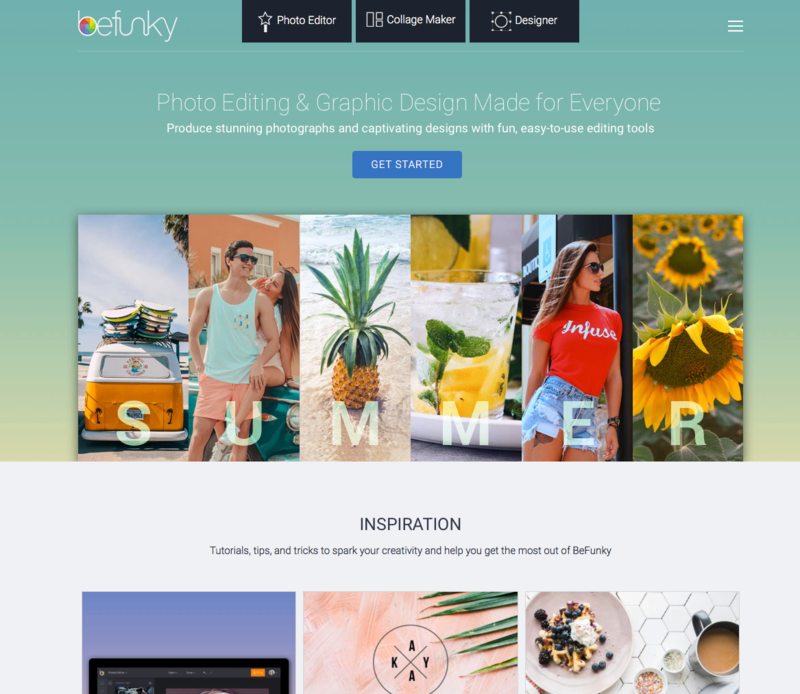 BeFunky has a free basic plan to edit your photos and then they offer a paid plan as well that offers more features. 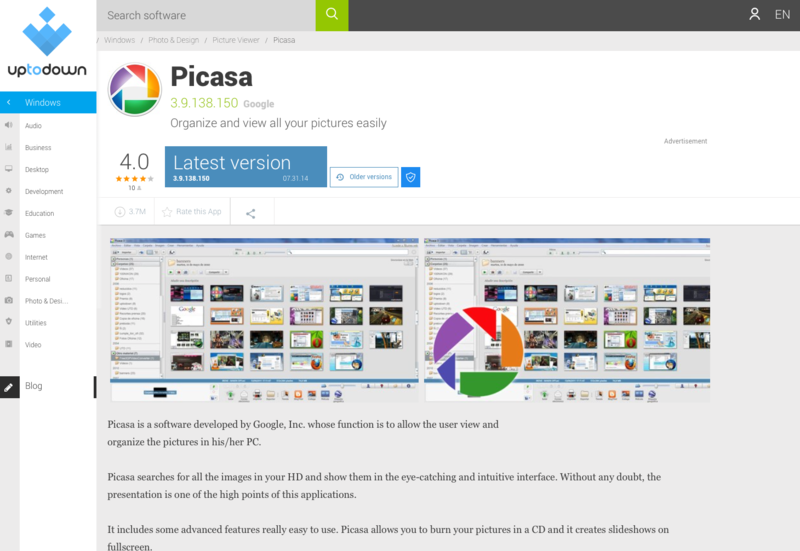 Picasa seems to be still available to download but there is a statement saying that it is being discontinued. I didn’t try to download it because I didn’t want to actually download it but you can try to here. If you want to read more about why it is discounted and what it is now turning into you can read more about that right here! Ribbet is free to edit photos but it does offer upgrade features for a price. Again this one reminds me of Canva and PicMonkey. 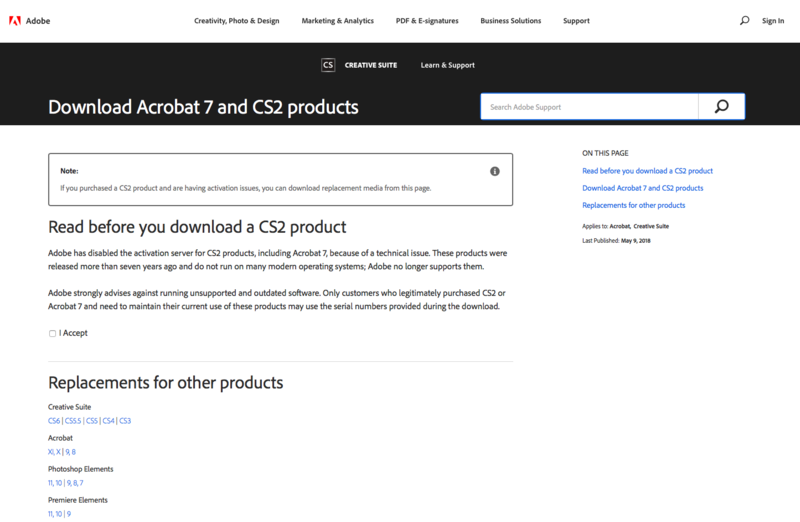 Photoshop CS2 – Adobe offers too many programs to list them all. I just listed the ones that I found to be the most popular. 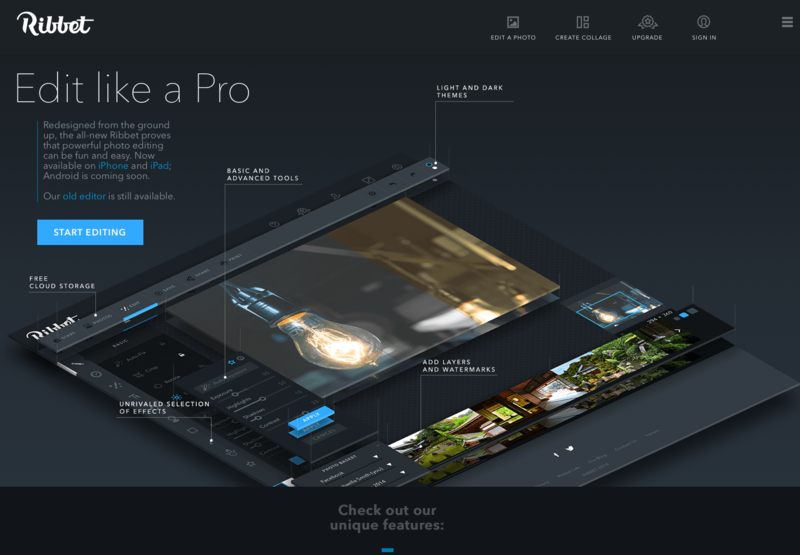 Fotoflexr is another free program for photo editing. Now that you have gone through all of them I hope you can see which ones may or may not work for you. Without actually downloading and trying each one it is hard for me to give them a proper review. I would like to say that though you may be thinking some of those are a bit pricey, don’t forget that those are a one time fee and the others are a monthly fee. Of course, you may not want to pay for any of them and decide to go with one of the free programs! I don’t blame you there! If you are a photographer that needs in-depth photo editing than I suggest you get one that you have to buy. 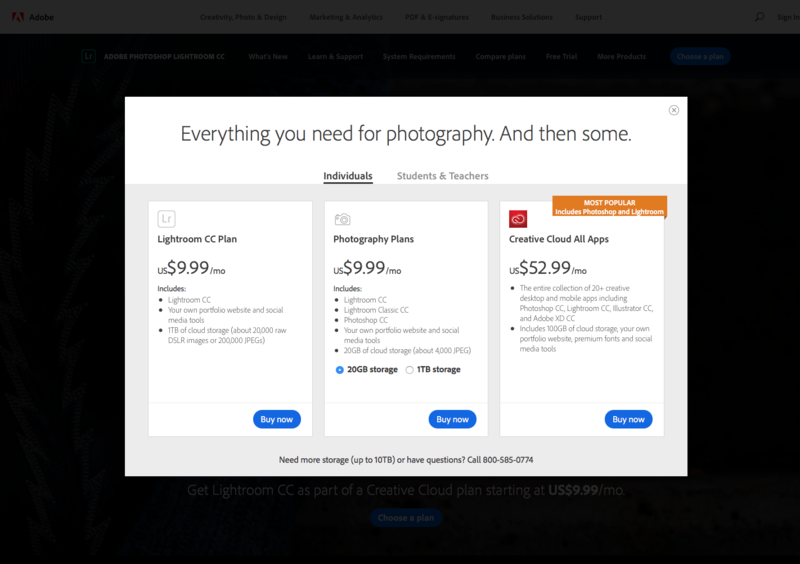 You get what you pay for and if your product is the images themselves you don’t want to cheap out there. 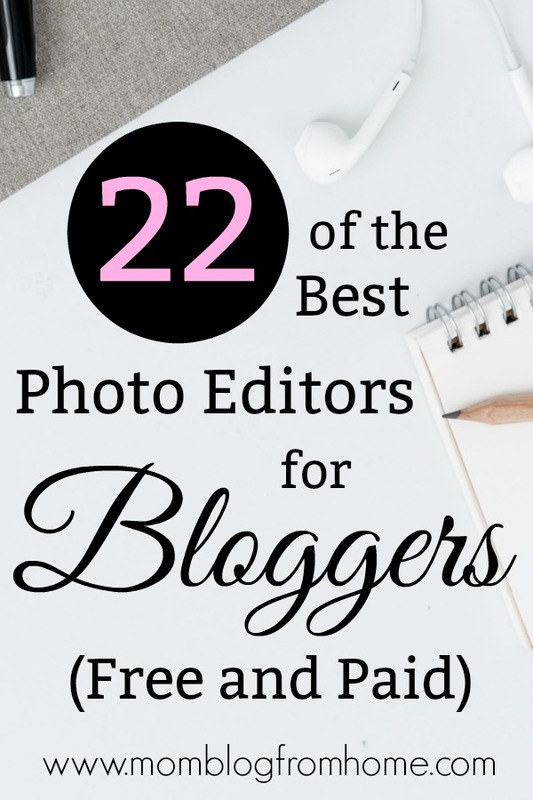 If you are like me and you are a blogger and you just need to make some quick edits and make pin images, then you can definitely go with a free program. I lean more toward Canva and PicMonkey of course since I have used those two before. If I could only pick one of those two I would go with PicMonkey. Suzi from Start a Mom Blog has a great FREE course on PicMonkey that goes more in-depth on all its amazing features! Good luck on your photo editing journey! 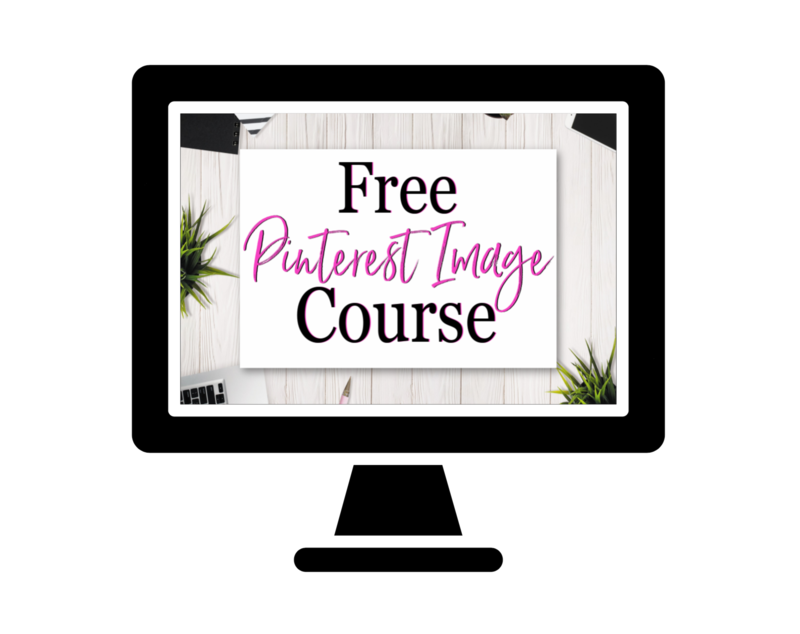 Don’t forget to check out my FREE Pinterest Image Course! 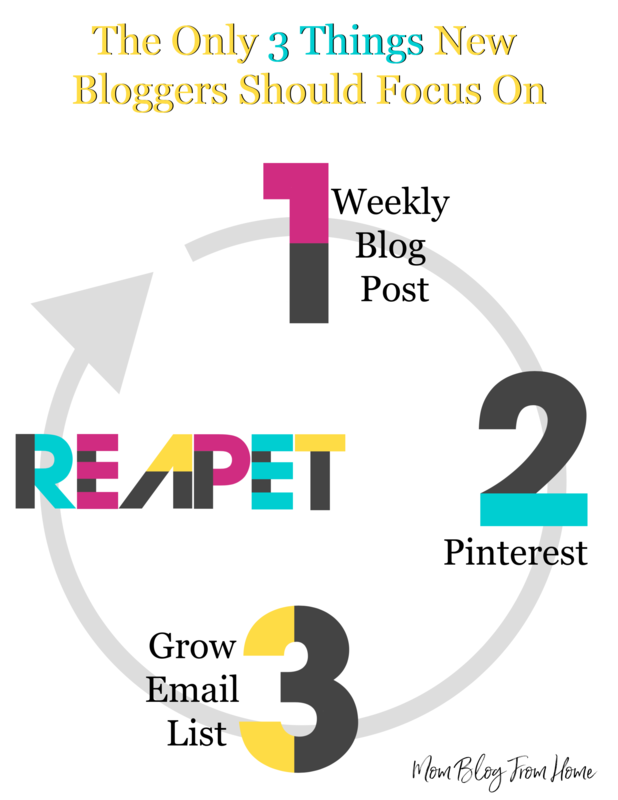 Getting traffic to your blog is a main priority for new bloggers. 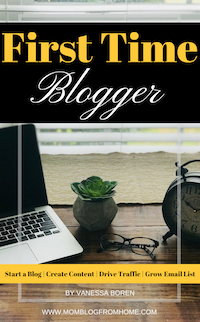 It is a priority for all bloggers but after you have been in the game for awhile you have don’t need as much help as you do at the very beginning. So how do you get traffic to your blog at the beginning? There are different ways but the one that has worked the best for me is Pinterest. 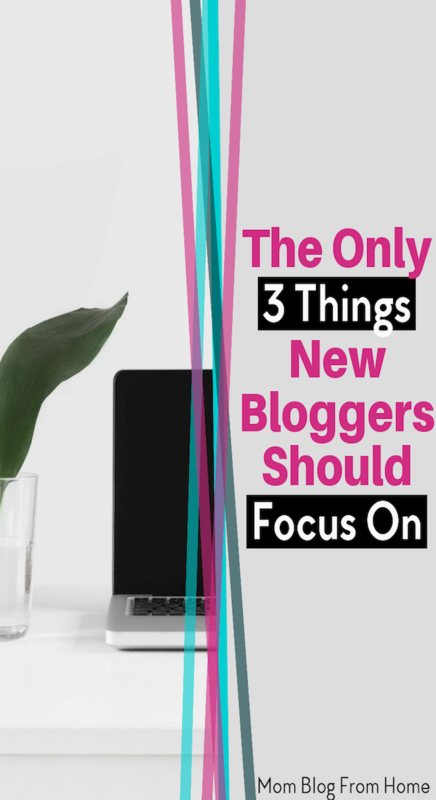 The other options are to do keyword research and focus on SEO, guest post on other popular blogs, and join Facebook Groups to promote your blog. Those ways work but they take much much longer. 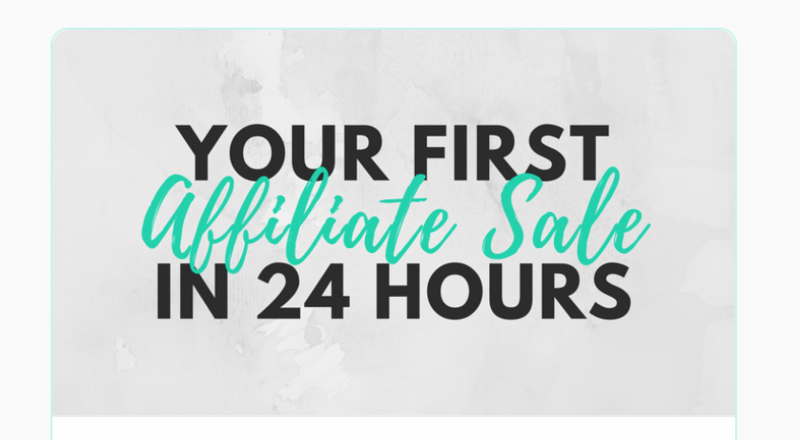 I focused on Pinterest and I was very surprised at how quickly the traffic came in! I went from 300 page views in December to having 7,000 from January 8th – February 8th! I also gained 117 subscribers to my email list and my new Pinterest profile went up 705.07%! Here is a view of my Google Analytics. Here is a view of my email subscribers. And here is a view of my Pinterest Analytics. Well, I explain right here in this post. But to go into more detail I will walk you through it right now. Some bloggers say you can convert your personal account into a business account and others say it is best to just start a new one. I decided to start a completely new one. If you convert your personal account then you need to make all your boards secret, change your profile bio, and I just felt like it was mixing personal and business and decided it was best to just keep them separate. This way if I want to pin fun crazy things to my personal account I can do that. It also means when I am on my business account pinning it is all business related and it doesn’t have personal interest pins in the mix. It just works best for me to keep them separate but that is up to you! Start a business account here. The best way to find group boards to join within your niche is to go to a bigger blogger’s account within your niche and look at the group boards they are on. There are some sites that you can go to as well that will show you but I have heard they aren’t as accurate as they used to be. This has worked well for me because you then snowball into more group boards from the people that were on the first group board. Tailwind is a program that pins for you on Pinterest. It is good to manually pin as well but you can’t be on Pinterest all day every day so that’s where Tailwind comes in. It is $15 a month and worth! Also, you get a free month for anyone that uses your link to sign up so the potential is there to have it free every month! If you want to try it out for free yourself you can use my link right here. Tailwind offers (or it did for me) 5 free Tailwind Tribes you can join or you can create your own. A Tribe is a group of people that are all together in one group (tribe) and you all share your pins in that tribe. 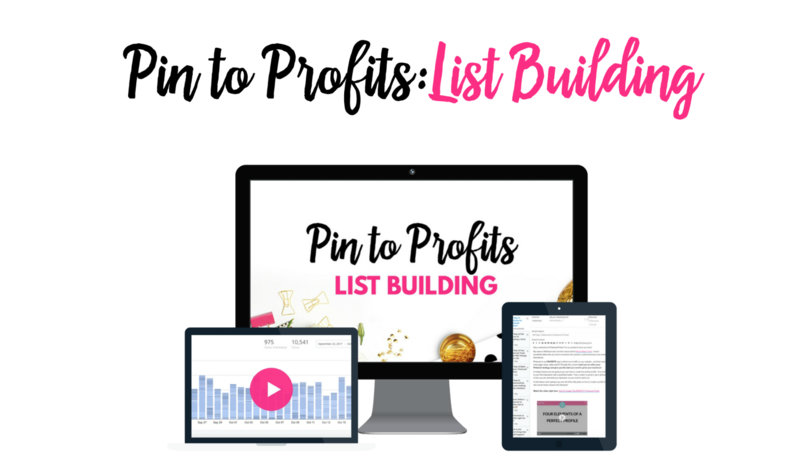 By doing this it gets your pins in front of people within your niche to share with their followers. There are rules set up by the creator of that tribe, such as a pin for a pin. If you add a pin to the tribe then you share a pin from that tribe with your followers. Again, this just gets you more exposure for your pins. If you have WordPress then install the Pinterest Pin It Button Plugin. 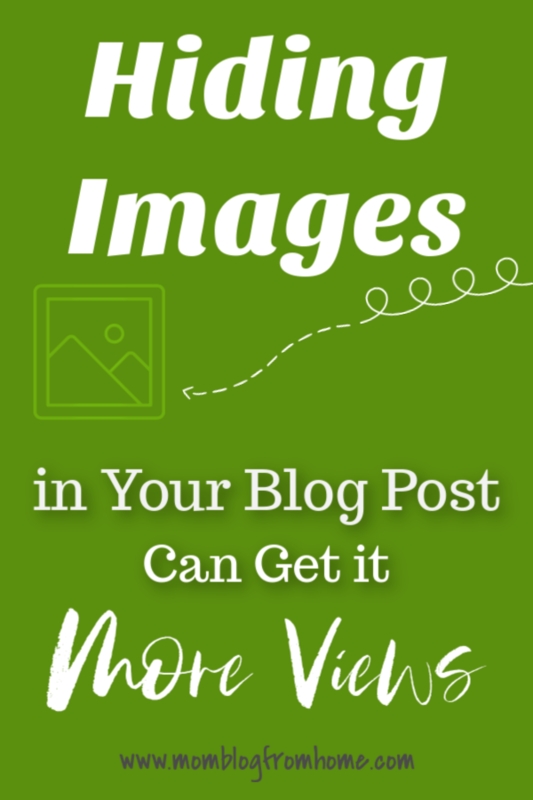 This will make all of your images on your blog pinnable. 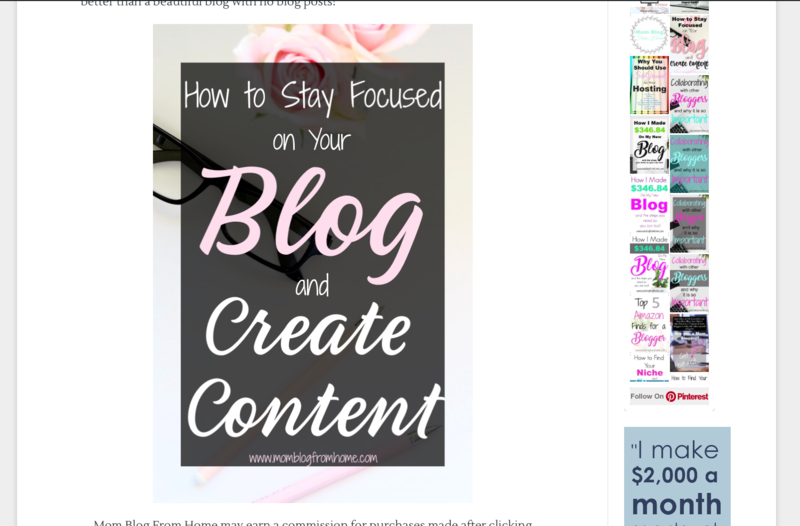 So when someone comes to your blog and hovers over your image a Pin It button will pop up. Having good Pinterest images is very important. That is what catches the eye for them to actually read your pin and then to either repin it or to click through and read your blog post! I made a free Pinterest image course where I walk you through how I create my Pinterest images. I like to create more that one image per blog post. Everyone has different styles of what they find attractive. If I make multiple images then I am more likely to catch more eyes. I hide the images within my post so it isn’t flooded with those images. This also helps to share the same blog post more times by not having the same image pop up on the Pinterest group boards Tailwind Tribes you are in. I did research on what keywords to use to name my boards. I went to Pinterest and in the search bar I typed in a keyword and then Pinterest gives you options that are most searched using that keyword. For example, if I put in the word blog then it drops down and says “how to start a blog”. When filling out your profile description and your board descriptions use as many keywords as you can. Make it flow and describe each board but Pinterest is like a search engine and uses keywords. Same goes for your pin description. Be detailed and explain what your pin is about and again use keywords. You can choose how many times you would like Tailwind to pin for your throughout the day. I did the max it would schedule for me which was 50 times. Within Tailwind, you can make boards lists to list all of your group boards. So, if you want to pin a pin to multiple group boards you can click on the board list that has them all listed instead of having to click on each group board individually. If you don’t change the interval of the pins then you can end up pinning multiple pins onto each group board and possibly break the group boards rules or flood the feed in that group board. That could cause you to be kicked from the group board. To prevent all of that I change the interval to at least once a day. This is a great way to loop your pins as well. The remaining spots I filled with pins within my niche to fill my boards. Not only do you need to share your pins but you also need to fill your boards with awesome pins of others as well. This will help you gain followers. The more followers you have the more people that will see your pins. I did this solid for over 2 weeks and that was my results. I was very sick with the flu the last week of January and into February. I was sick for about 2 weeks so I didn’t keep up with my blog traffic very well during that time. I still had traffic coming to my blog from those two solid weeks I was able to keep my Tailwind full. I was shocked that it worked so well and also that it continued to work for a while afterward. It started to taper off and I just started working at a school so I haven’t been able to keep it up as well so it has dropped now. Again, that is only because I haven’t been able to work on it. After getting over the flu I got a sinus infection and ear infection then finally after getting healthy my dog became ill quickly and needed emergency surgery but didn’t make it. The month of February has been a rough one for our family. Now that we are into March I plan to refocus and get those numbers back up! I can’t wait to show you the results! Creating Pinterest images use to sound so hard to me. When I first started blogging I remember thinking that I had no idea what I was doing and it was going to be so hard to learn. I had no idea that I would actually come to love it and it would be one of my favorite parts of blogging! I did have some help from other bloggers but now that I have learned the basics I have been able to come up with a few tricks myself! There are many different ways to create Pinterest images and I think that is half of the fun as well. You aren’t stuck with one program that you don’t like, you can choose which one works best for you. Or you can use them all like I do! It depends on what I want to make on which program I will use. I use to be worried that my images wouldn’t be eye-catching or they would not look professional and now it is like second nature to get in there and design them just how I want! There are several different places you can get stock images from. Not all of them are free, in fact, most of them aren’t. The best place I have found is Pexels.com. They have free images where you can donate if you would like. 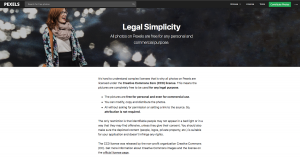 It says on there that images can be used for personal or commercial use. There are so many different choices on there too for photos. Once again there are many different programs you can use to edit images. The one that I use is PicMonkey. They do have a free trial but eventually, they want you to pay to use them. After using PicMonkey I can tell you it is worth the small amount to be able to edit pictures so quickly! I like to take my images that I got from Pexels and edit them before I even start using them for my pins. The main way that I edit the pictures is that even though the background may be white when you add it to your Pinterest Template that has a white background you can see the difference in color. I will then go in and edit that to match. You may be thinking, “Well, are you allowed to edit the pictures?” Because I know I was! And yes, you can edit the pictures don’t worry! To save myself from always going back to look for more pictures to use for my Pinterest images, I like to make several different images out of one. I will find one that I like. Go to PicMonkey and edit the picture, then I will move that picture around and make multiple different images out of that one. The best way for me to explain it is to watch how I do it in my FREE Pinterest Image Course. I walk through everything I am talking about in this post, in my course. By making the different images out of one, it saves me so much time and keeps my pins all having the same theme/look to them. Some say to change it up which I do but others say it is good to have a certain “style” you stick with. Elna with Twins Mommy is very good about her pins all having a certain look to them. When I am on Pinterest pinning I will come across one of her pins and I will know it is hers before even looking. This helps do that for me. I have a certain style that I feel stands out but at the same time, I am able to play around with each pin and make it unique. There are three programs I use to make my Pinterest images. 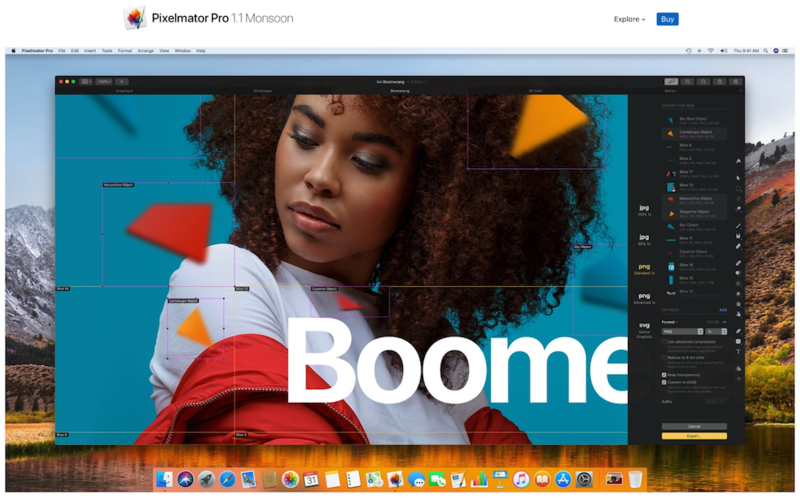 As you know one of them is PicMonkey, the other is Canva, and the last one is PowerPoint. I not only use PicMonkey to edit my pictures and create multiple images out of one, I also use it to add the words and turn a stock image into my own personal pin image. Canva is a fun program that I use to not like so much but now I love it. It is free and it saves your past images on there for you so I like to look back at everything I have created. I also like how it is very quick to add the words and design to the pin. 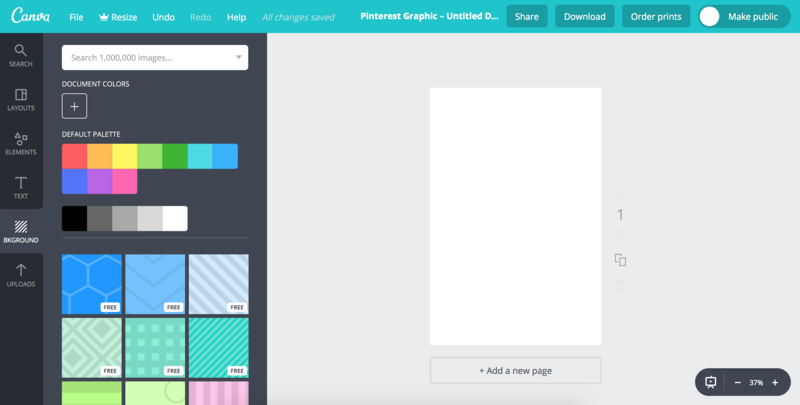 Canva has templates set up for you as well to be able to make much more than just Pinterest images! PowerPoint is not one that most people would think of. I love PowerPoint and Microsoft Excel so when I came across a blogger that used PowerPoint for her images I had to learn what she did. She taught me a lot and I go over those things in the FREE Pinterest Image Course. This image I made in PowerPoint as well. Then all you have to do is put it on a long pin background and tada! You got yourself a pin for Pinterest! The fun part is the creative part. When you take the image and move it around to just how you like it and envision how the words are going to look on the pin. Then adding the words, changing the font, changing the color of the words, maybe making them bigger or small, trying to catch the readers attention. I will change a pin around to make it pop and look appealing to the viewers on Pinterest. I want it to catch their attention for being easy on the eyes and they want to save it and hopefully click through. I don’t want to catch their attention by it being ugly because they are not going to want to repin in…well I know I don’t when I am on Pinterest. Think about your style and what you like and make what you think is good. That is the best way to start. 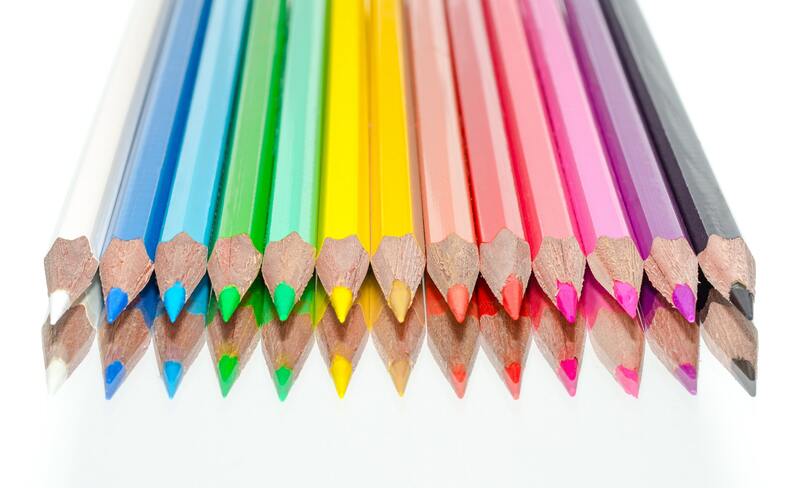 Go on to Pinterest and see what pins you find attractive and find your “brand” and then start creating! What are your tips and tricks for making Pinterest images?